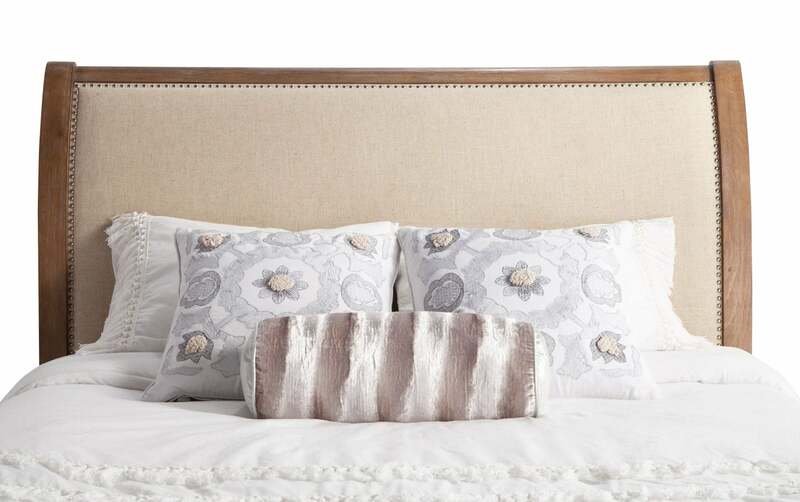 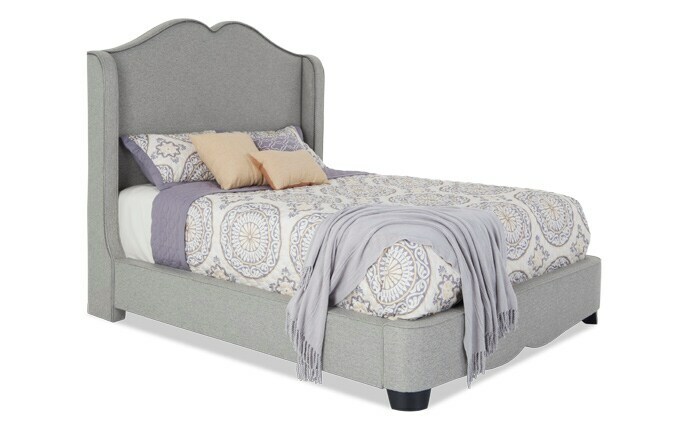 We took the most stylish parts of a bed and put them together to make up my super trendy Celeste Upholstered Bed! 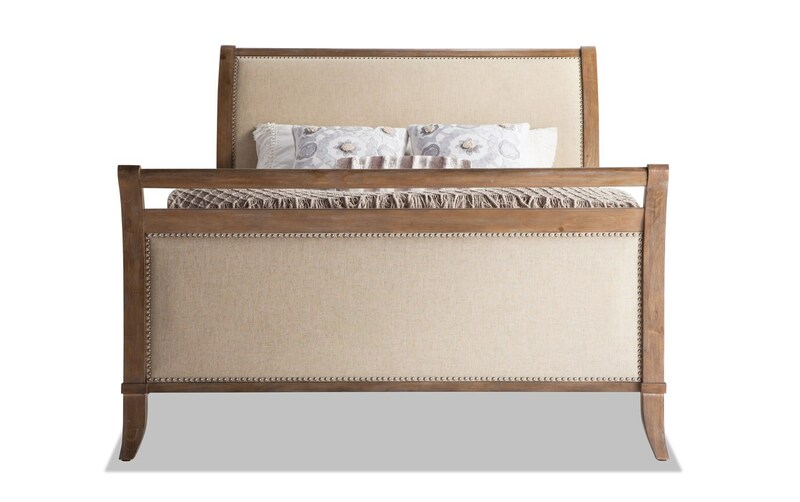 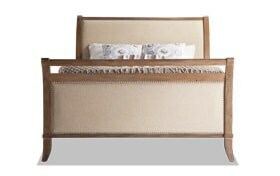 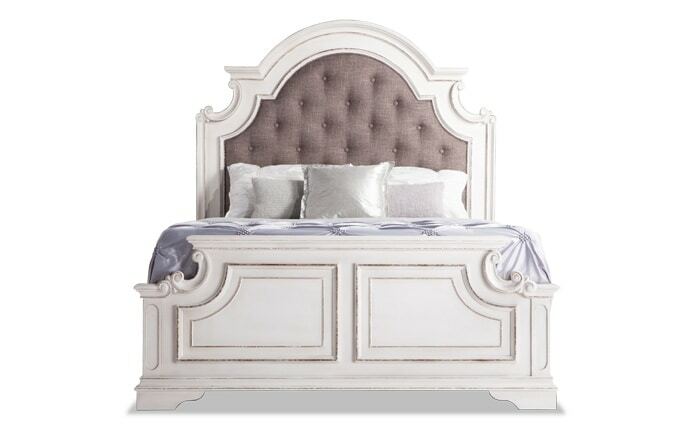 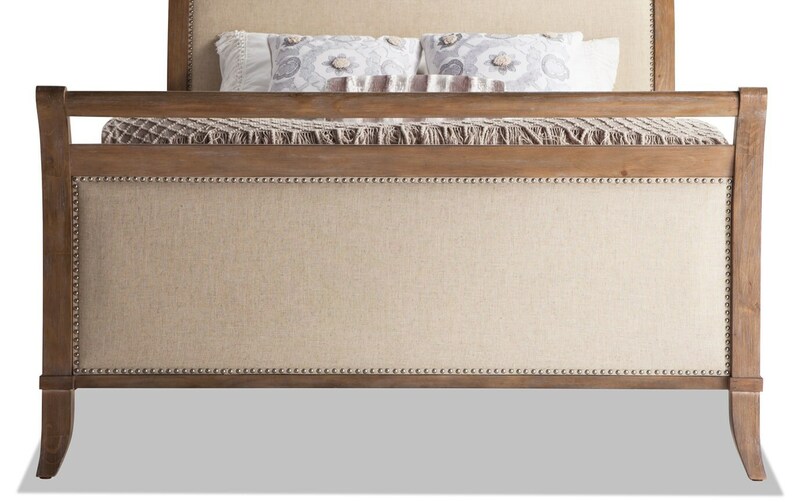 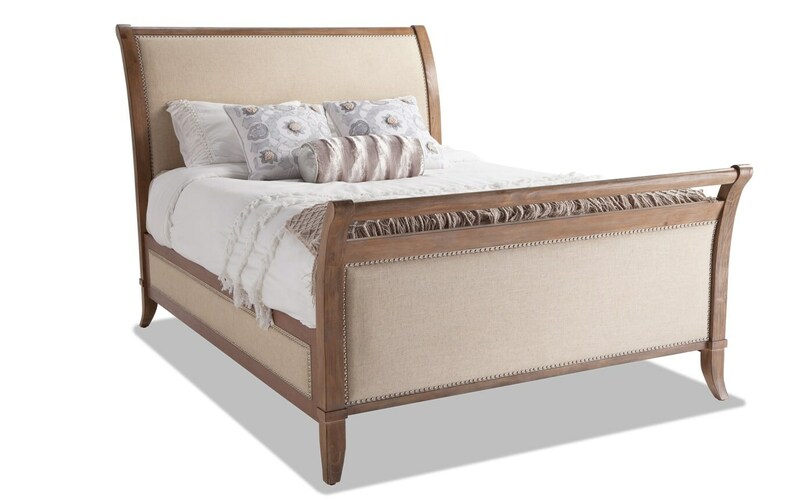 Constructed of pine solids and rubberwood, this sleigh style bed has a lovely, washed natural finish. 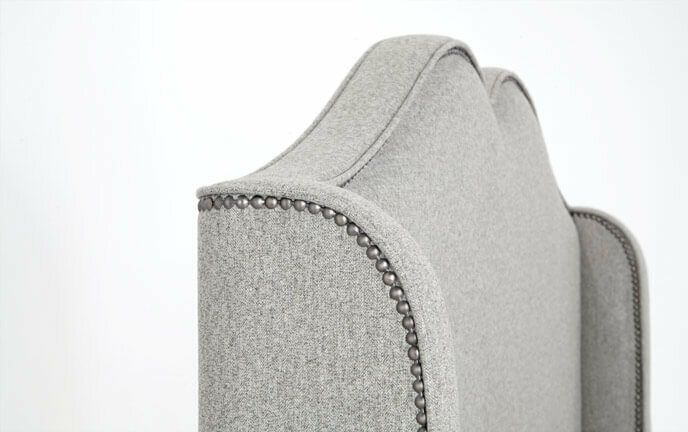 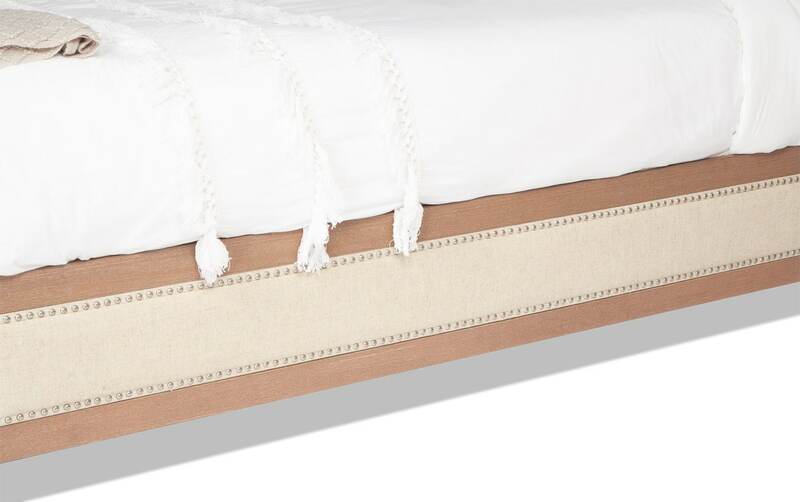 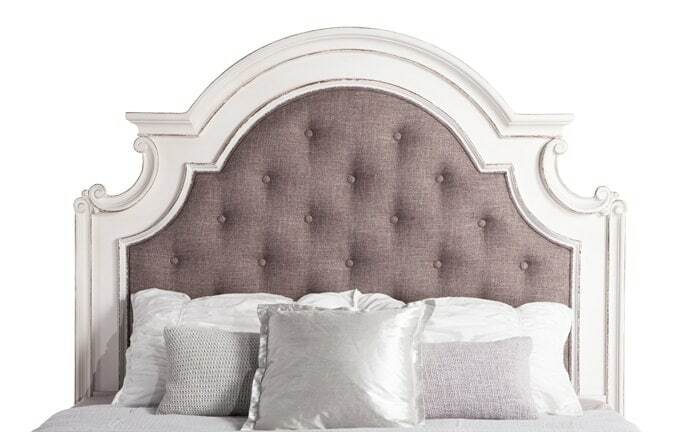 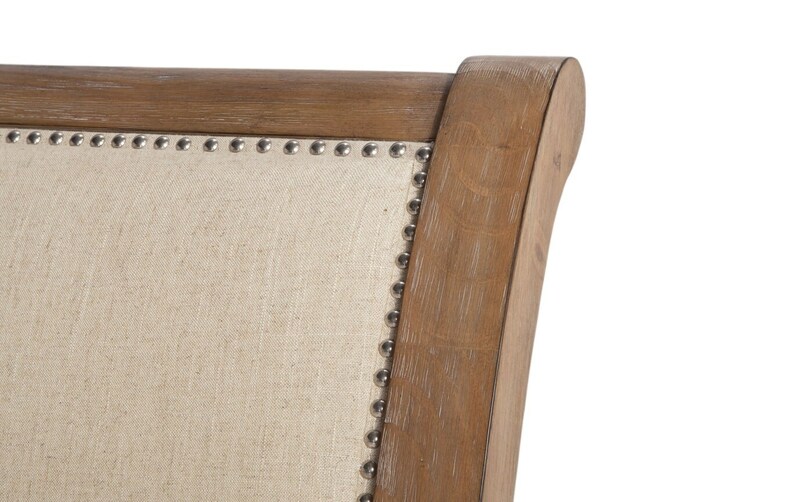 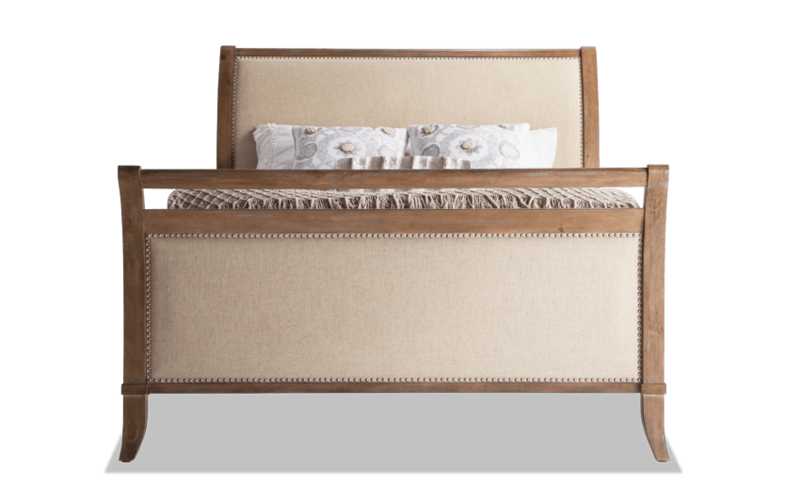 The nailhead lined upholstery panels on the headboard, footboard and side rails are graceful details that bring big style to your room. 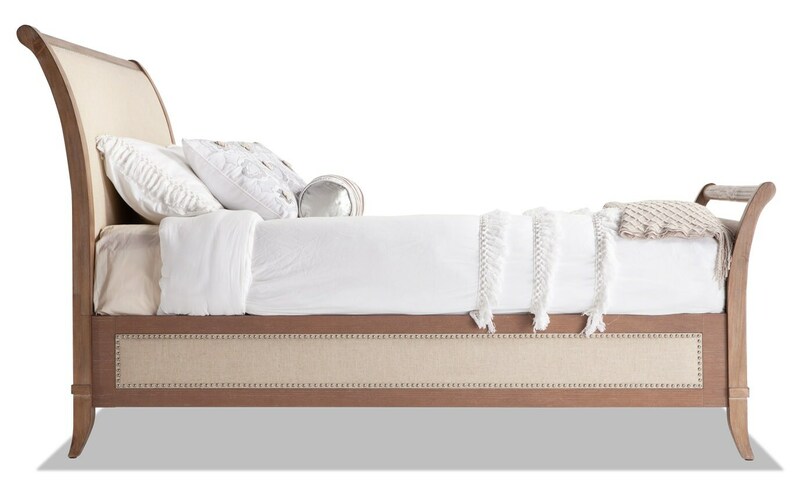 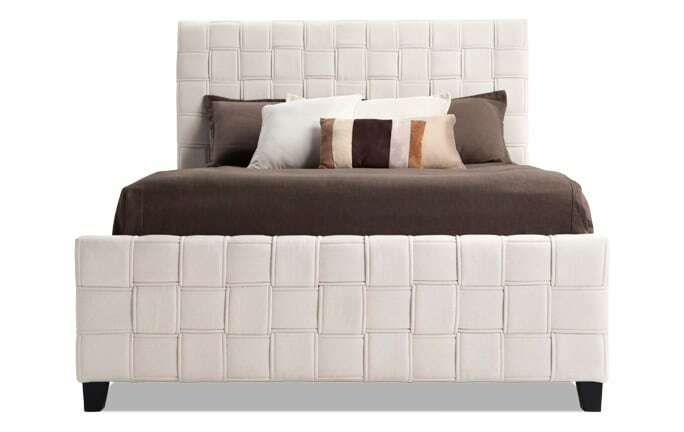 Best of all, the neutral shade of the upholstery provides a blank slate for you to add whatever color bedding you'd like!